Pressed. Bright VA ribbon, bright VA flake, Cavendish cut brown, VA burley and Perique. 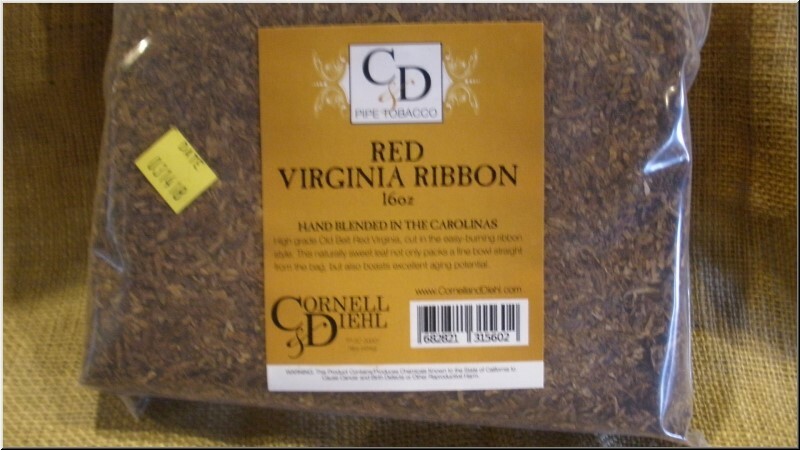 High grade Old Belt red Virginia cut in the easy-burning ribbon style, this naturally sweet leaf not only packs a fine bowl straight from the bag, but also boasts excellent aging potential. Good replacement for McClelland Red Cake tobacco.